Providence College senior Kelli Jenney has been Dominican educated since kindergarten. 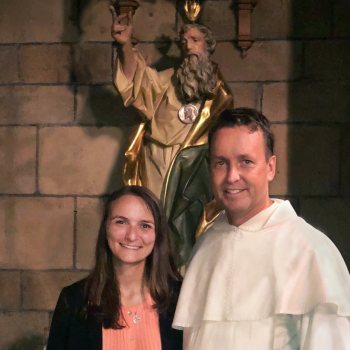 She attended high school at St. Vincent Ferrer in Manhattan and is active in campus ministry at PC, where she assists the friars chaplains. We would like to share with you her family’s remarkable journey of faith.